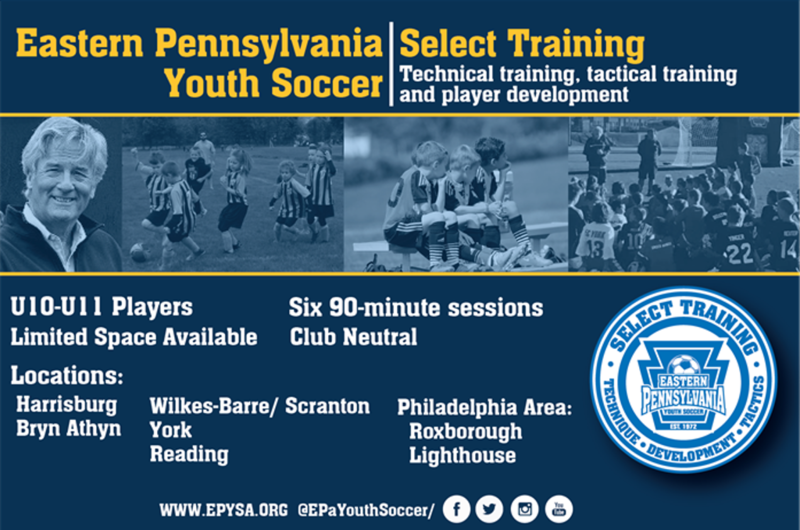 At the 2017 Eastern Pennsylvania Youth Soccer Association’s Annual General Meeting on February 26th they unveiled plans to pilot a Select Training Development Program beginning in Spring 2017. There will be five locations throughout the Eastern PA region established as training centers for this program. We’re excited to announce that Panthers United has been selected to serve as the host location for the York area training. The Select Training Development Program is being launched by EPYSA beginning in 2017 for 10U & 11U boys and girls. Select Training is ideal for travel players and highly skilled recreation players. The goal of the program is to provide additional supplemental training sessions for interested players, which will be led by licensed coaches from the EPYSA organization. This will be a six-session program, and will run through April and May on Sunday evenings. Additional details and registration information will be posted on the EPYSA website (www.epysa.org) over the next few weeks.